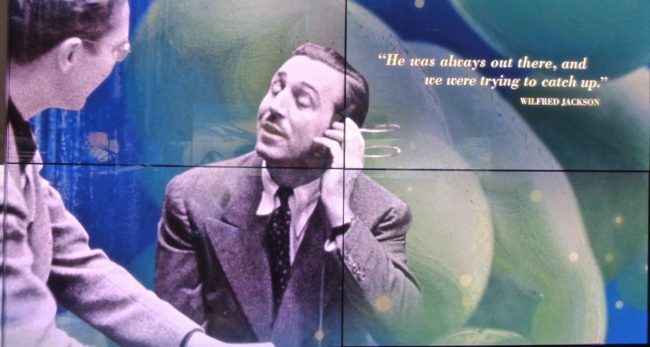 If Walt Disney wasn’t the most innovative and creative person on the planet in the 20th century, he’s certainly close. So when Kim and Mary told us about the Walt Disney Family Museum at the Presidio in San Francisco (they had visited once before), a museum that chronicles the life, achievements and legacy of this creative genius, we donned our mouse ears and headed out (ok, we didn’t wear mouse ears). Tracy and I had viewed a PBS two-part documentary about Disney the previous month, and learned he was quite a complex man (as most geniuses tend to be). 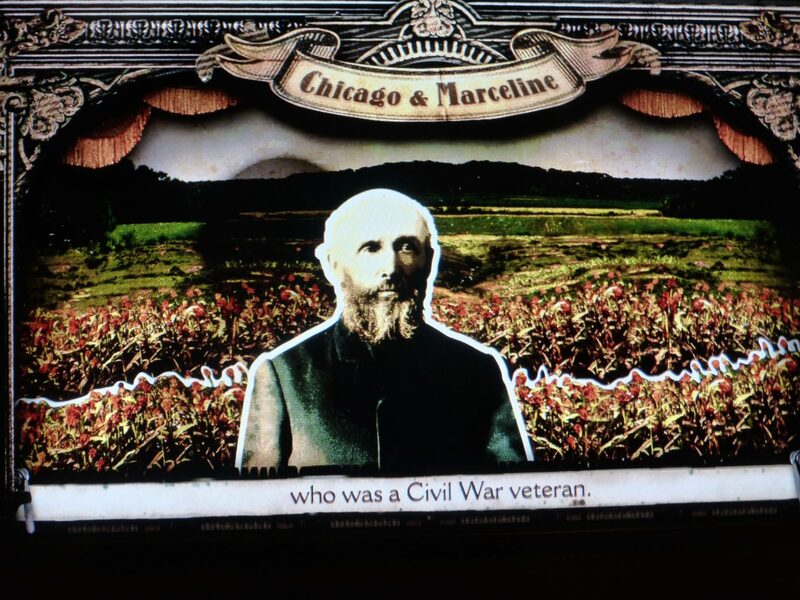 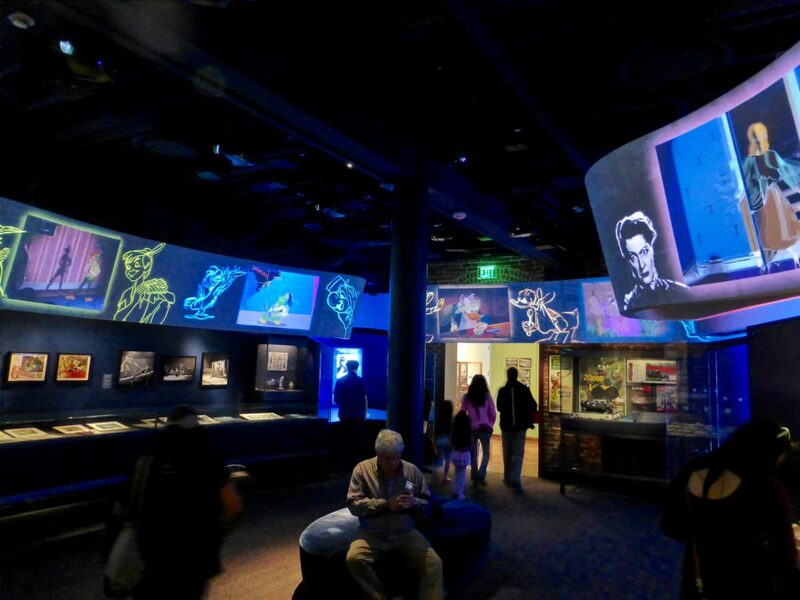 He had his failures to be sure, but his triumphs were astounding, and this museum would showcase them all in a most ingenious manner (hey, it’s Disney, what did you expect?). 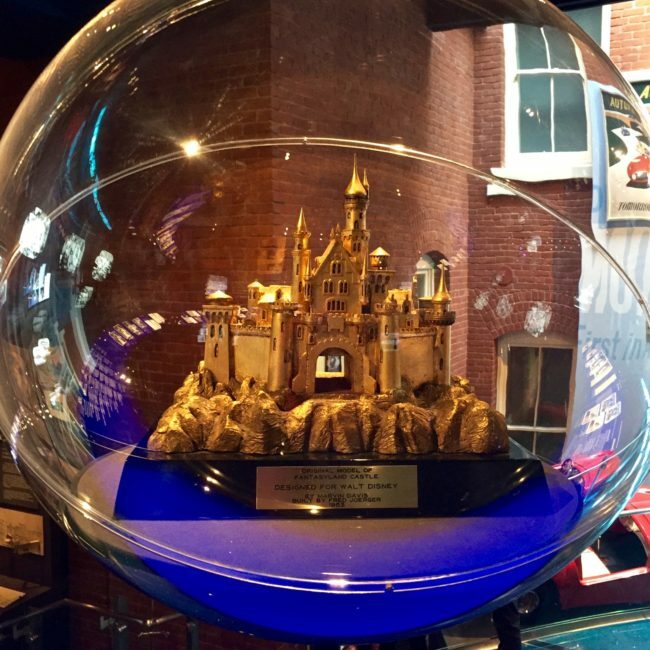 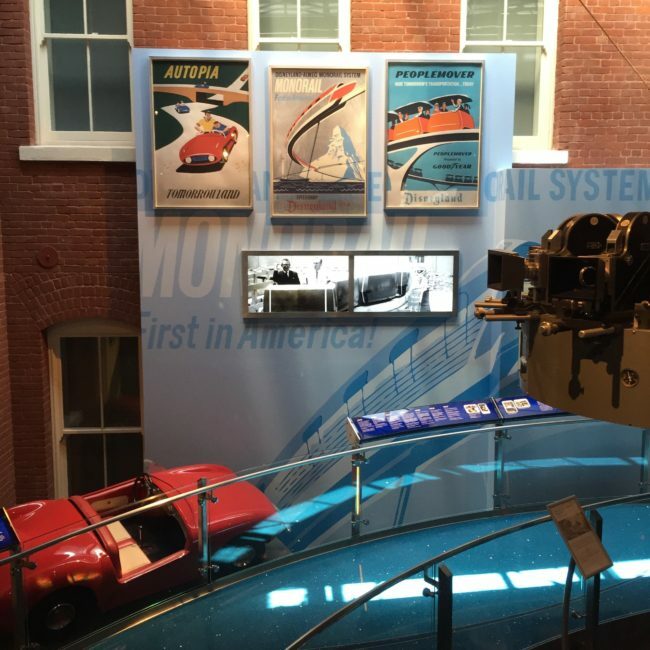 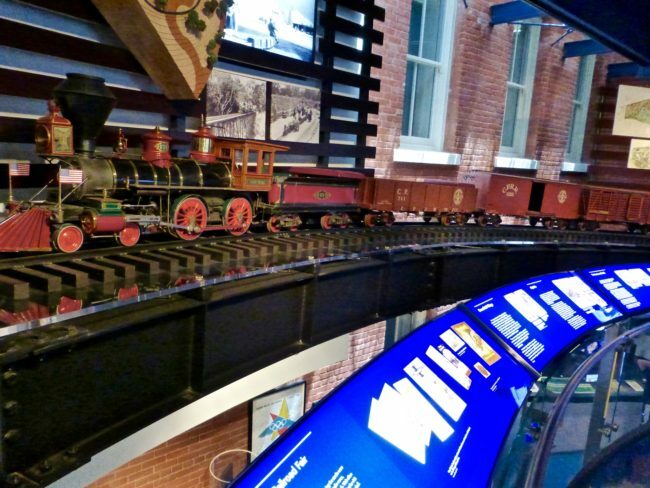 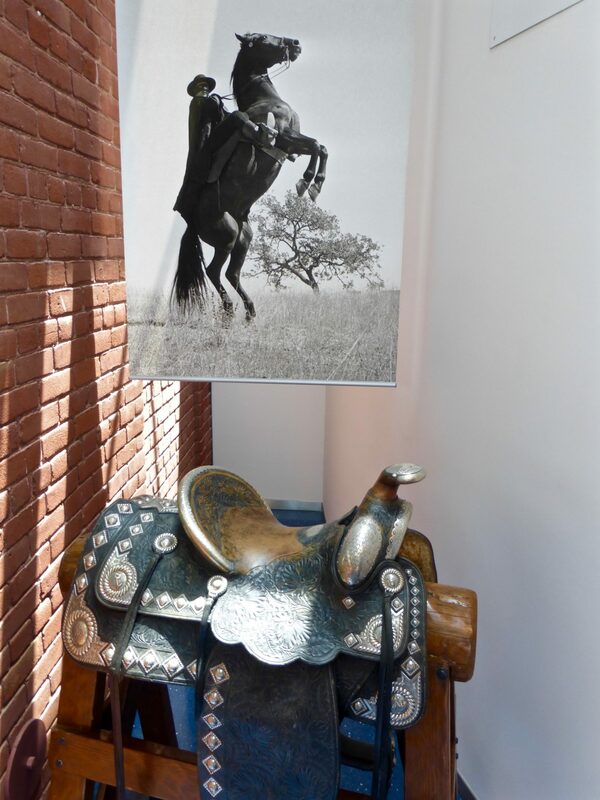 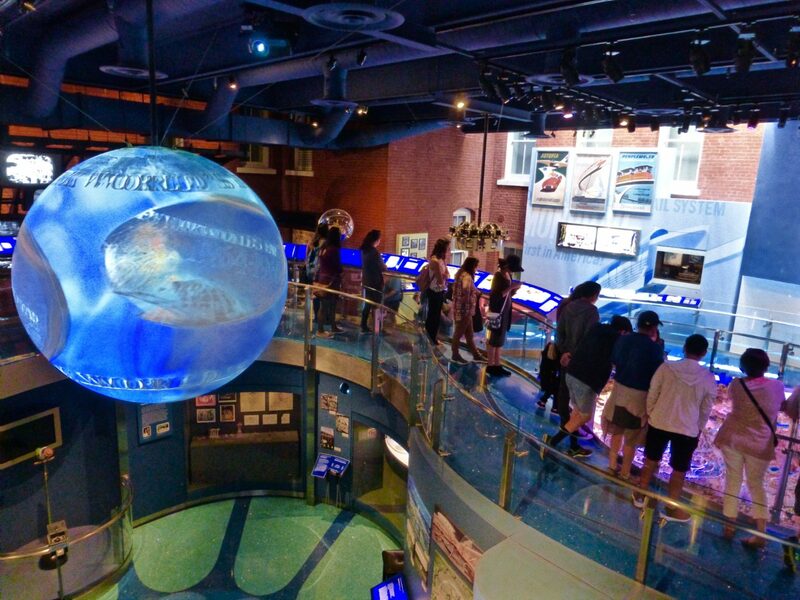 The museum is operated and funded by the Walt Disney Family Foundation, which is a non-profit organization established by Disney’s heirs (including Diane Disney Miller, Disney’s biological daughter and founder of the museum). 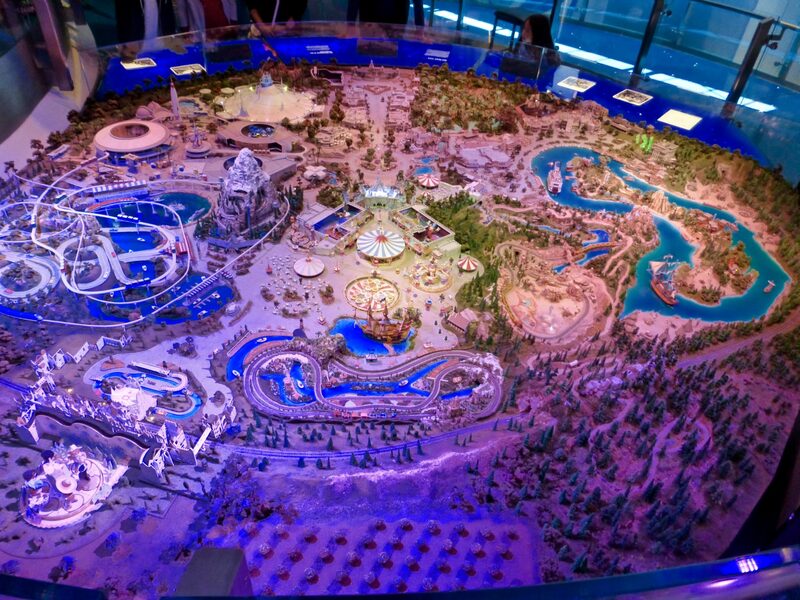 It opened in October of 2009. The family lives in Northern California, which is why they chose San Francisco for this venture. 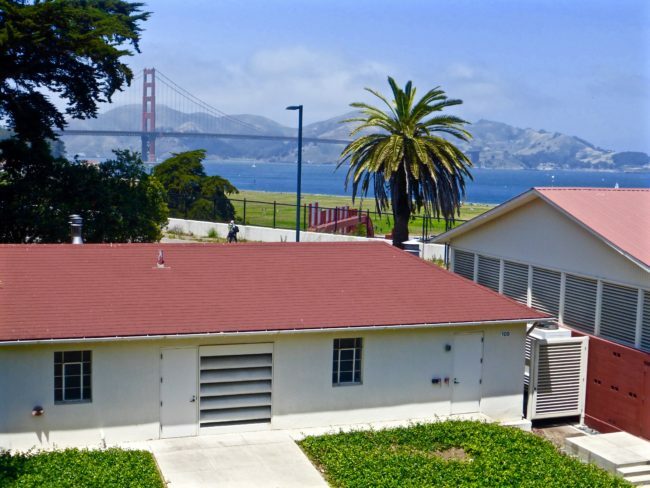 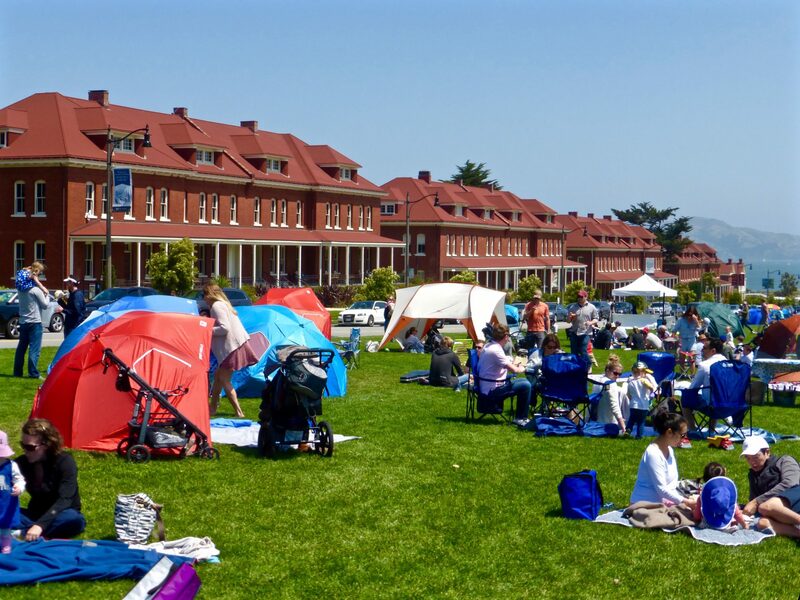 On an unusually warm San Francisco morning, the four of us arrived at the already crowded Presidio, full of families enjoying the food carts and the beautiful weather. 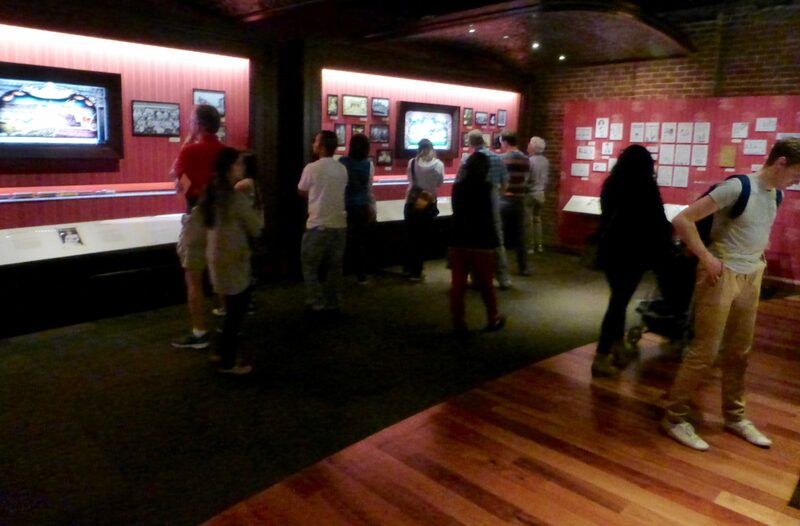 We navigated through the throngs to the three historic buildings on the main post. The primary museum (#104 of the Montgomery Street Barracks) encompasses 40,000 square feet (there are three buildings in total). 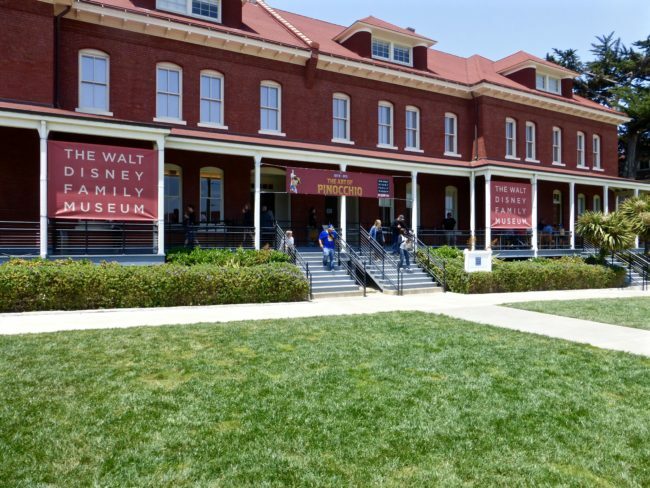 With an array of interactive exhibits, films, posters and listening stations, the museum took us on a journey through the life of Walt Disney…and what an incredible life it was. 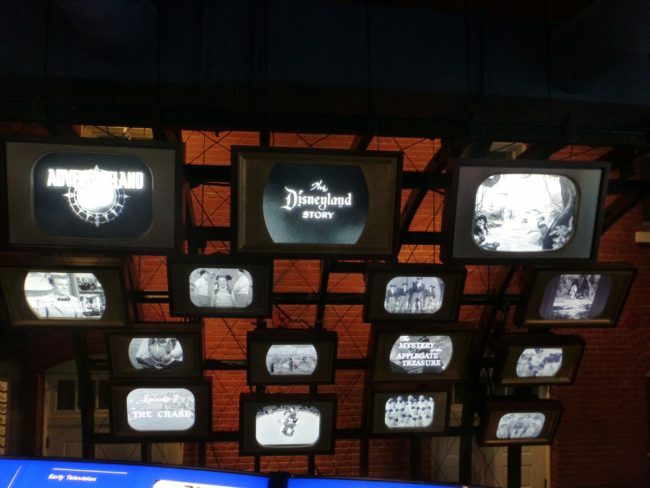 Unlike Disneyland, this is a place geared a little more for adults than kids, but they could also be mesmerized by some of the memorabilia and videos displayed here. 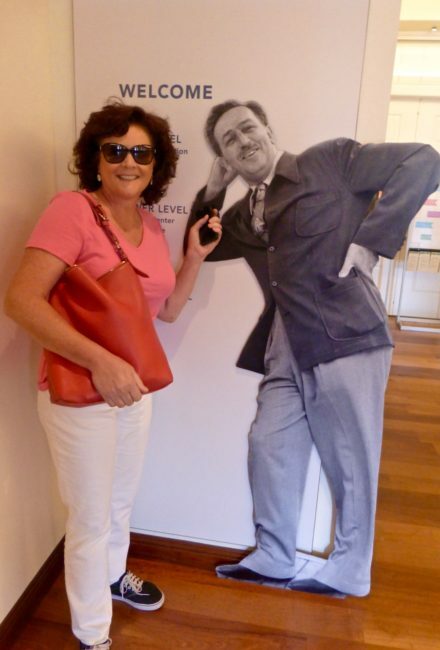 Tracy and I first paid respects to Walt at the entrance. 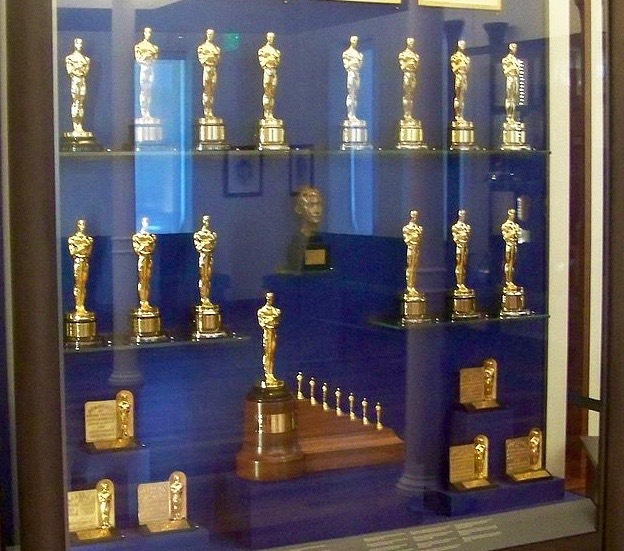 As we entered the the museum we spied some of his nearly 250 awards (including 22 Academy Awards; the most of anyone in history). 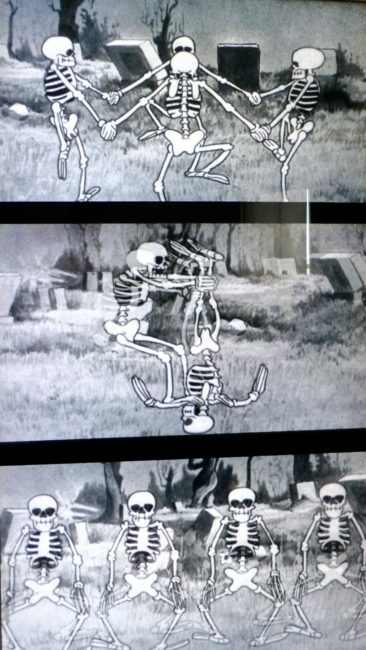 (photo below is from internet). 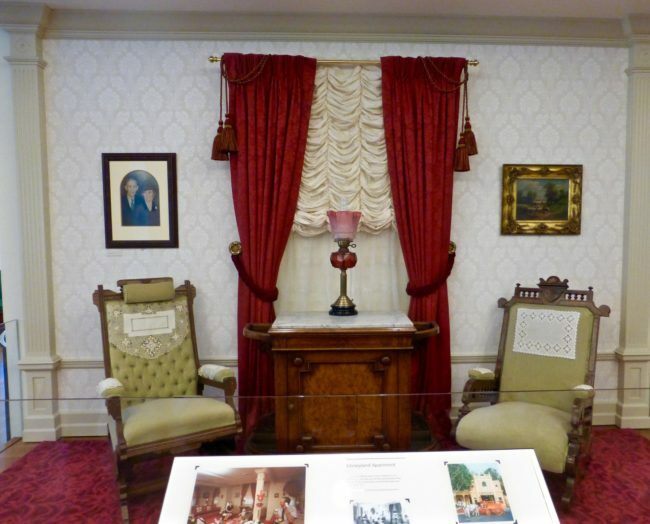 Disney even had an apartment at Disneyland (above the Disneyland Fire Station near Main Street as you enter), and some of his furniture is on display. 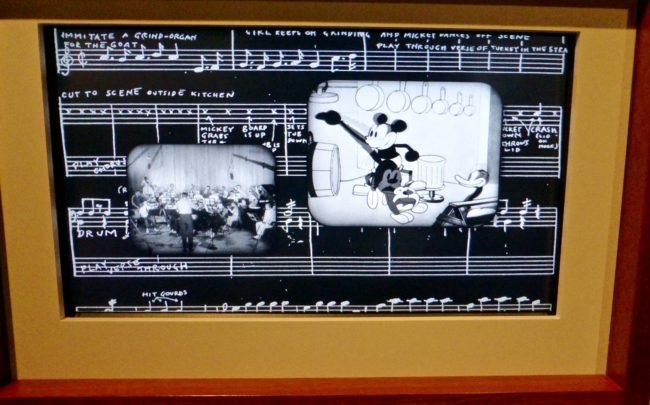 It was now time to travel through the decades and learn how the father of Mickey Mouse, Donald Duck, Goofy, Pluto and Disneyland became one of the most famous people on the planet. 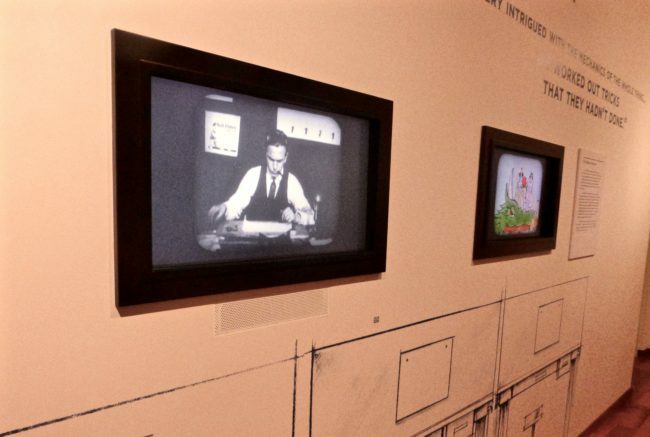 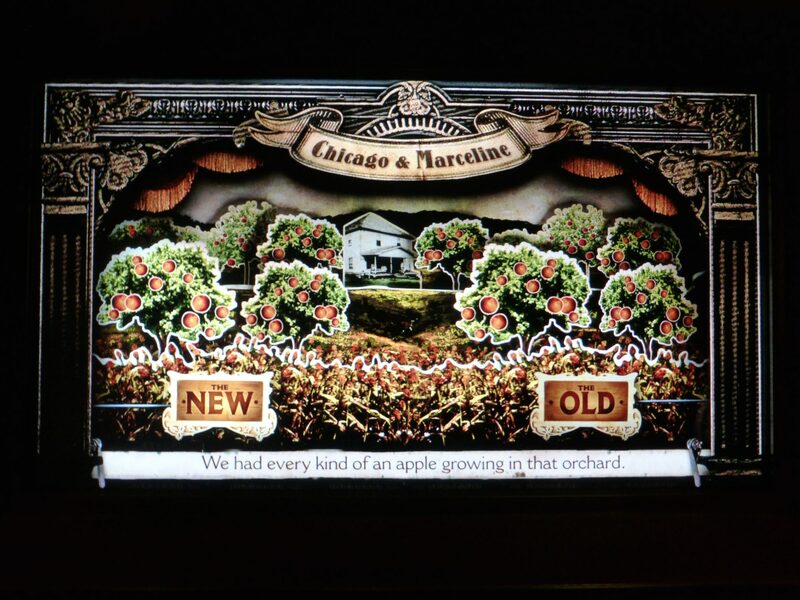 Walt was born in Chicago in 1901, and the first room (1901 – 1919) tells about Walt’s upbringing with some very clever devices that illustrate his family history. 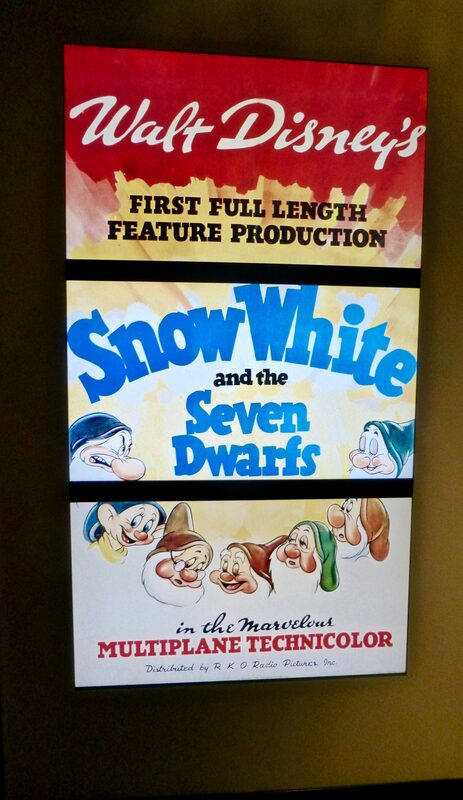 They were a type of “pop-up” movie (hard to describe, but pretty neat to watch). 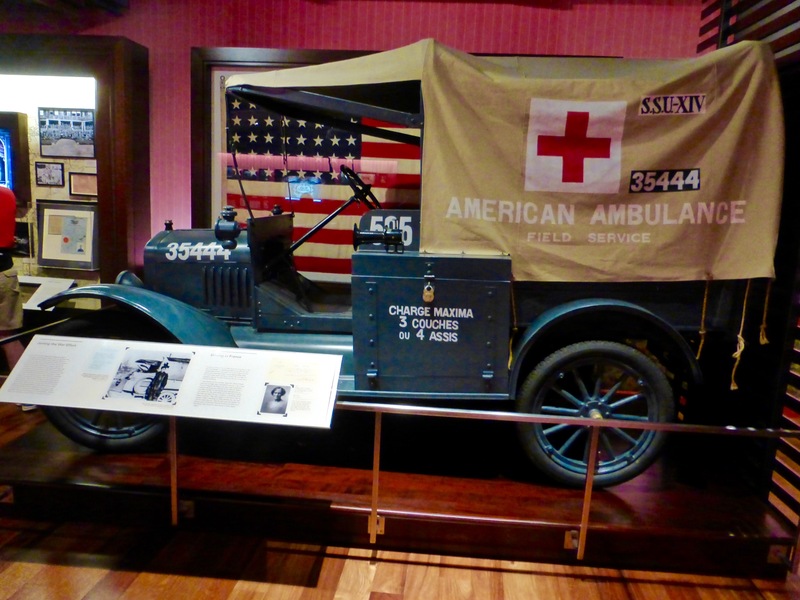 …I gazed across the room and saw an ambulance (perhaps they knew I coming, I thought). In 1918, Disney enlisted in the Army, but was turned down (too young). 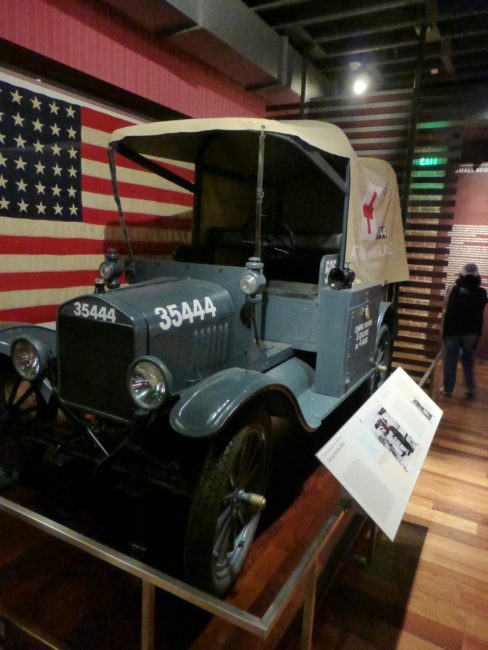 Not dissuaded by a little old thing like age, he forged the date of birth on his birth certificate and joined the Red Cross in France as an ambulance driver. 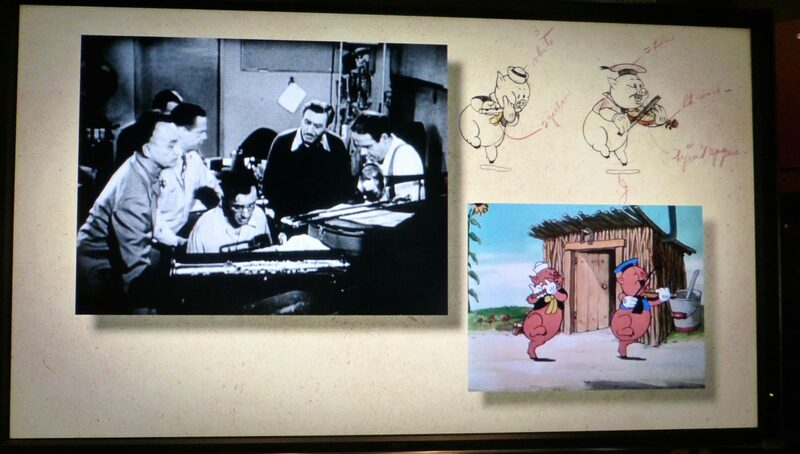 It was there he started drawing cartoons, some of which were picked up by Stars and Stripes. 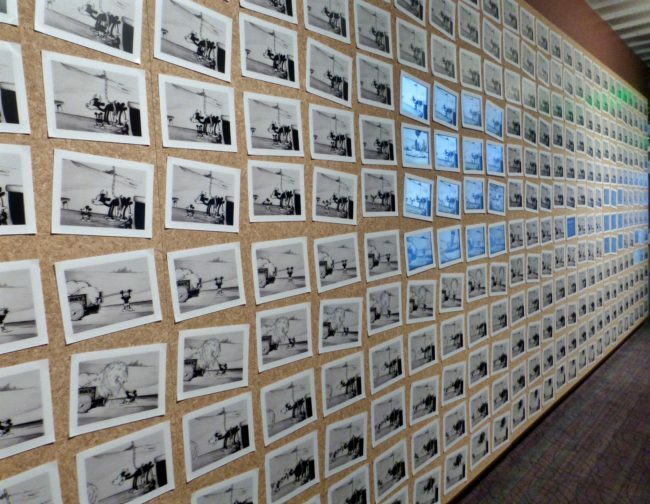 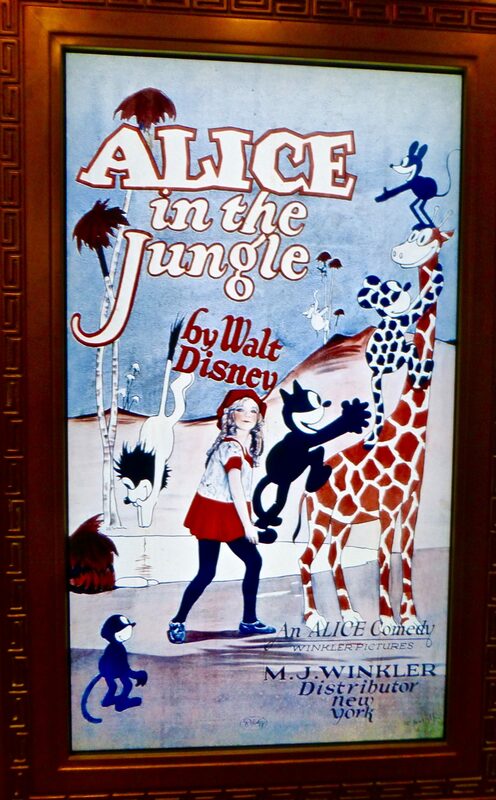 The next room, 1920 – 1923, were the years that Disney started to figure out his career path. 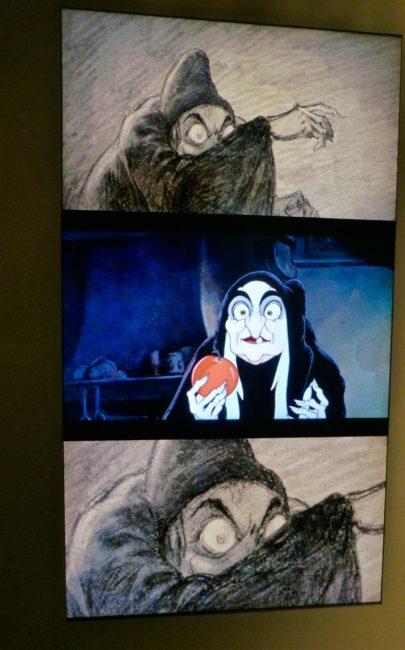 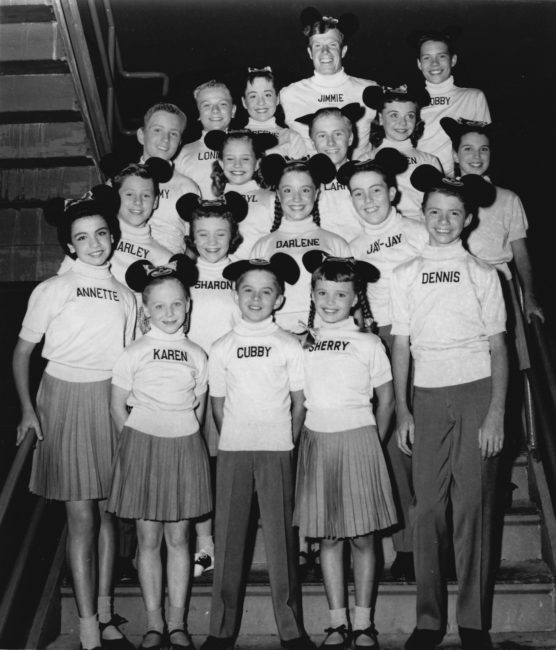 Disney started working at Kansas City Film Ad Company. 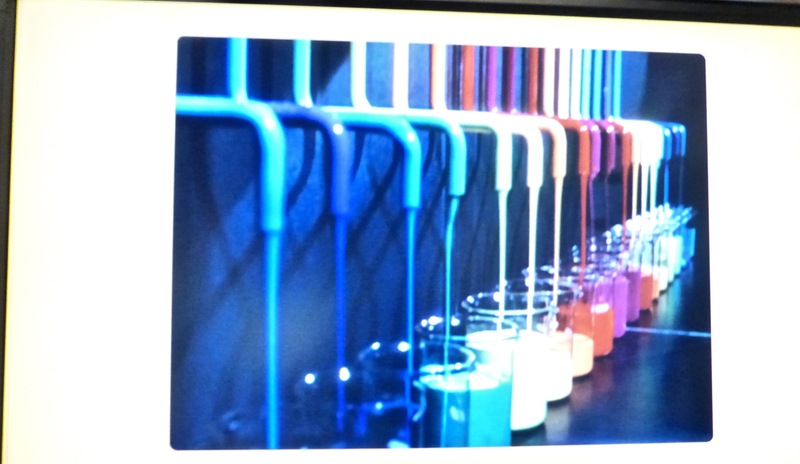 It was here he created a series of topical pictures and began using a camera for the first time. 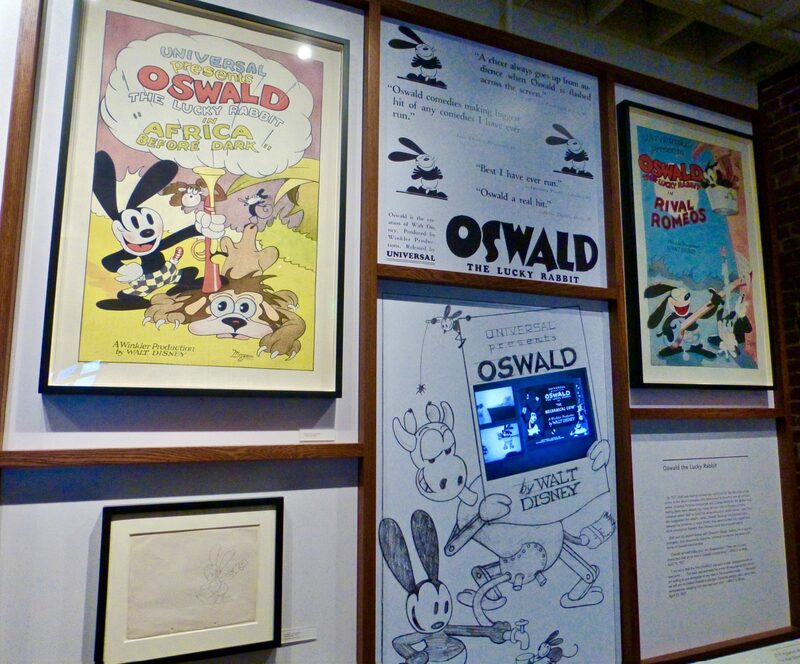 That led to his creating the successful character “Oswald The Lucky Rabbit,” which proved to be not so lucky for Disney…at first. In 1929, Disney lost the rights to his first animated star, Oswald the Lucky Rabbit, which, I assume, was hare-raising. 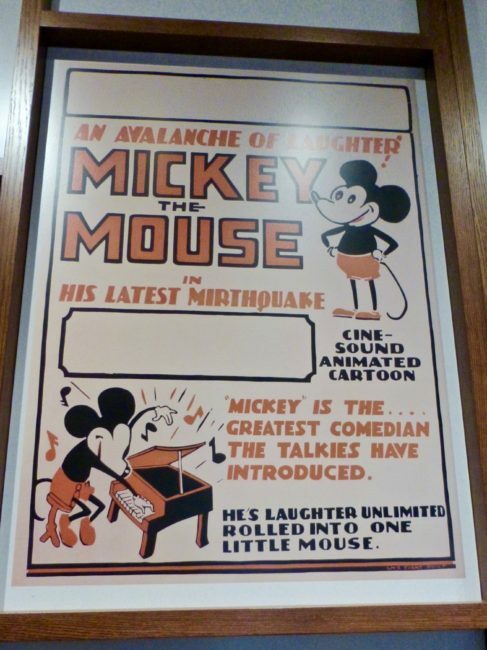 Undeterred, Walt started sketching an idea for someone we all know…Mickey Mouse (although the first name he had was Mortimer…a name quickly nixed by Walt’s wife). 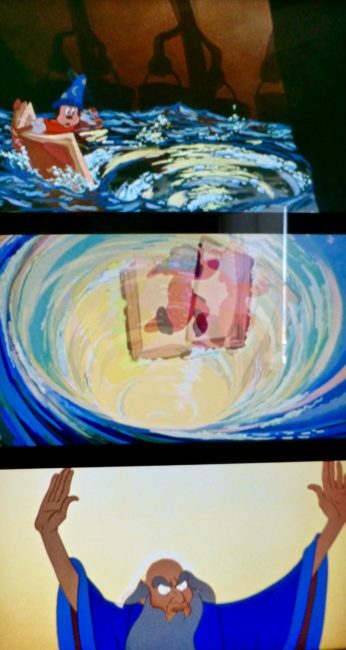 As we toured through the rooms (and next decade), we would see Mickey in videos, stills and a cool way of explaining how they used orchestration to integrate music into these projects. By the way, Walt was the voice of Mickey until 1947. …and made no bones about watching The Skeleton Dance, too, although In took a ribbing. 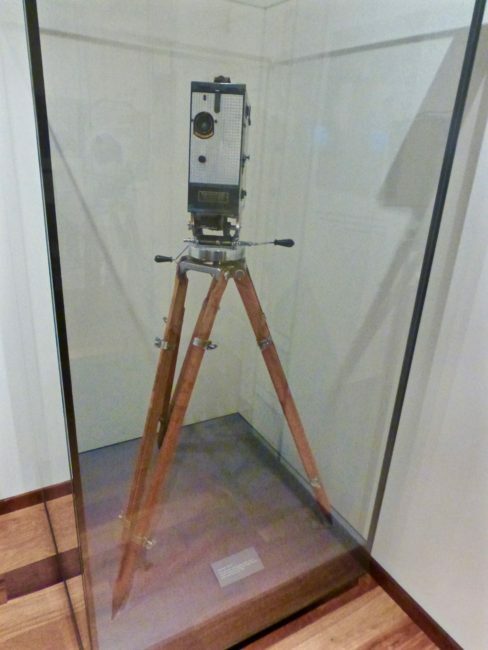 ..and some of the old equipment intrigued us as well. 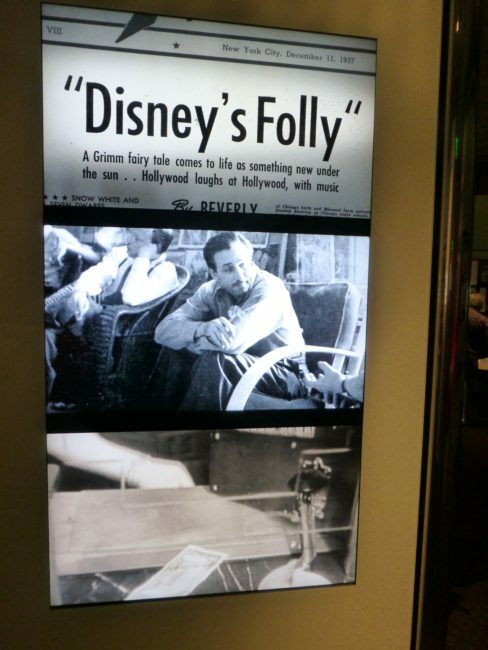 Then, in 1937, came “Disney’s Folly,” or so Hollywood thought. 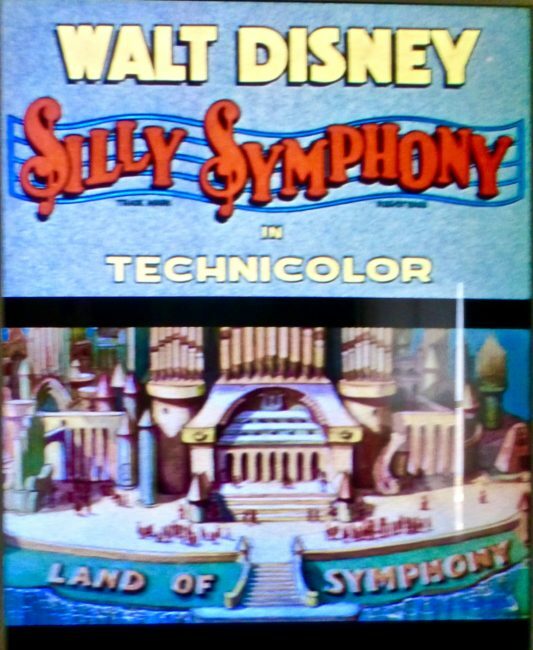 Walt was worried about the million and a half dollar investment for a movie he was making, and many thought he was nuts. 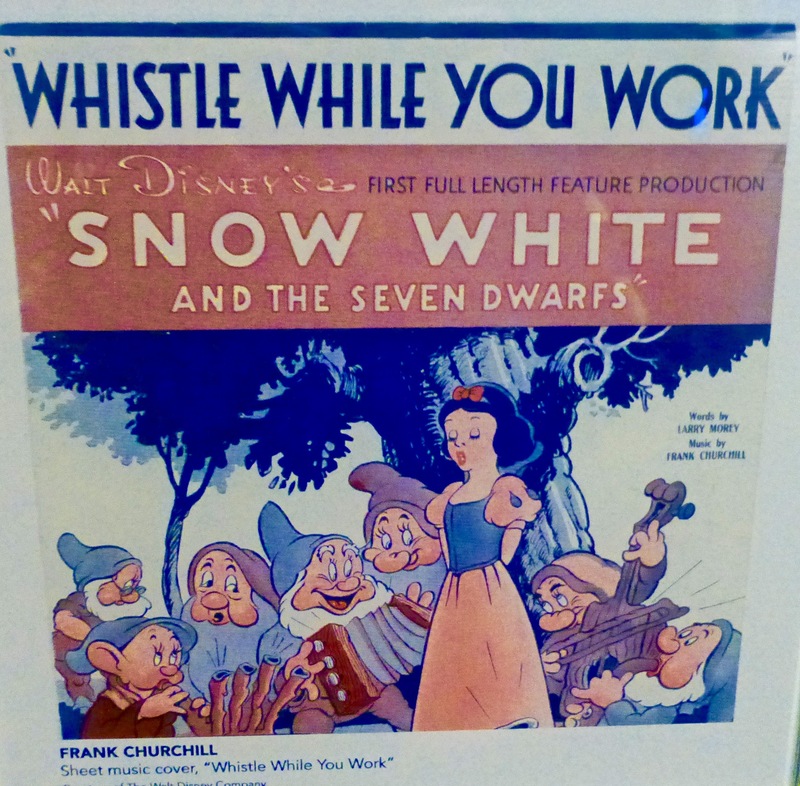 His banker was, of course, correct…Snow White and The Seven Dwarfs earned $8 million during its initial release and briefly held the record for highest grossing sound film. 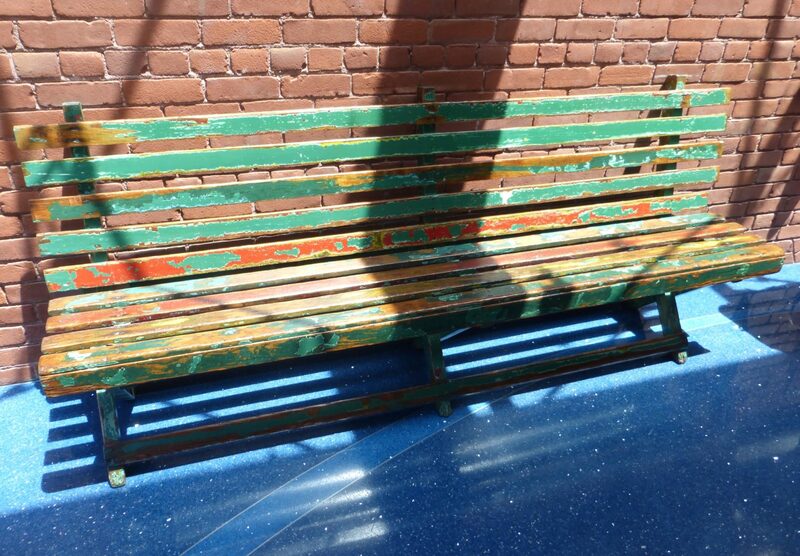 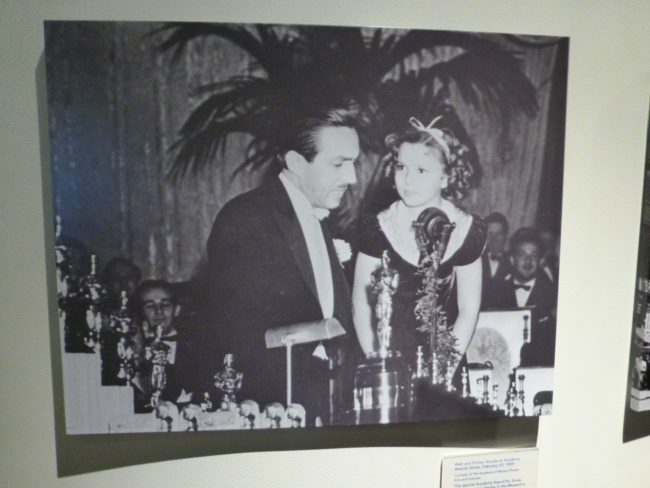 There is a little Hall of Fame at the Walt Disney Family Museum. 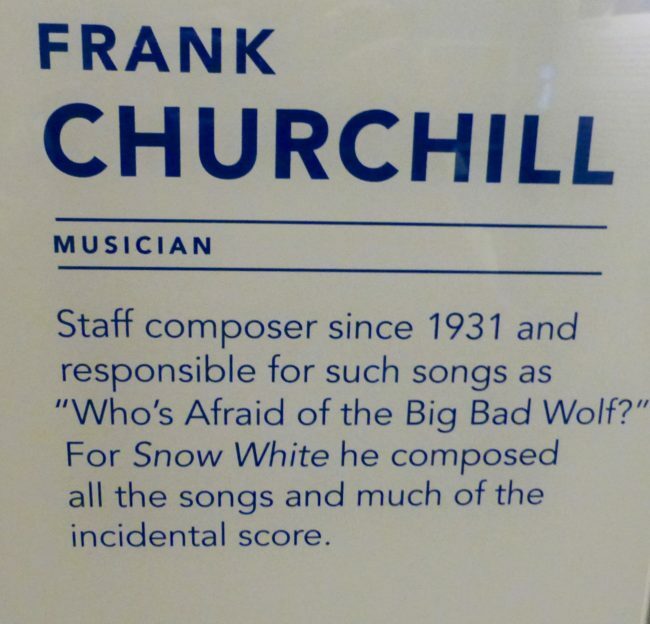 In a clever twist, you turn the cubes to garner information about each person,including Frank Churchill, the man who composed all the songs in Snow White and The Seven Dwarfs. When Disney accepted an Oscar at the 1938 Academy Awards, Shirley Temple was there to help out. 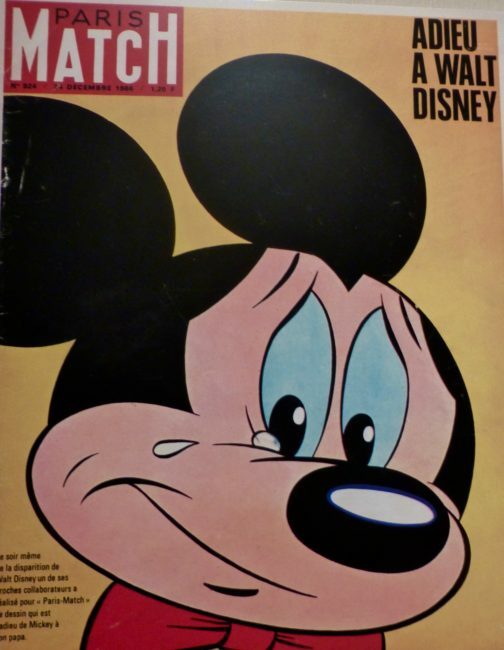 …but, deer me, I had to pass on Bambi and Ol’ Yeller…too depressing, plus my nose had grown longer for some reason. 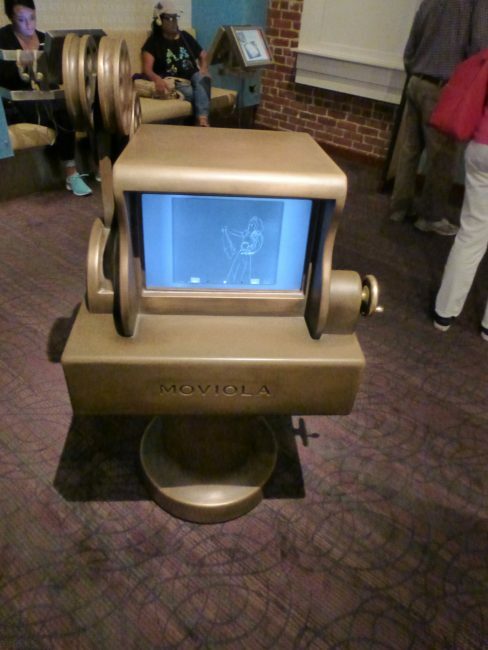 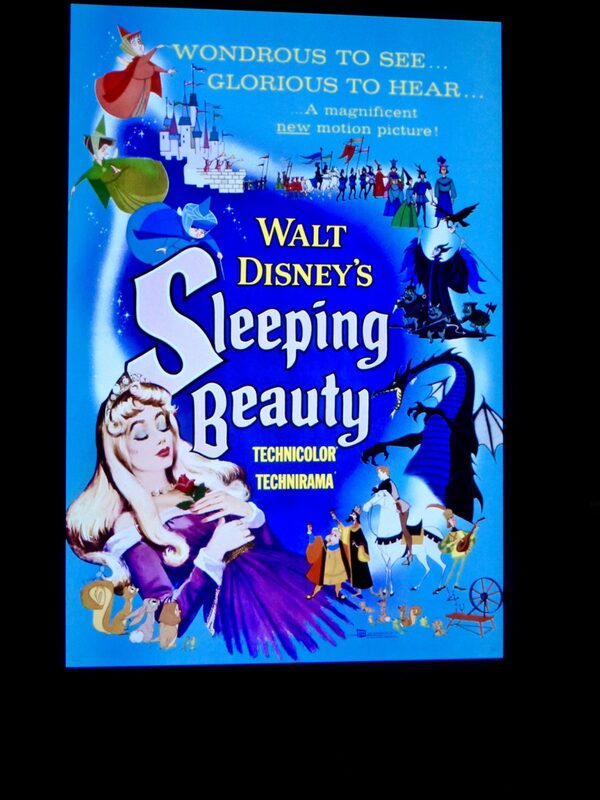 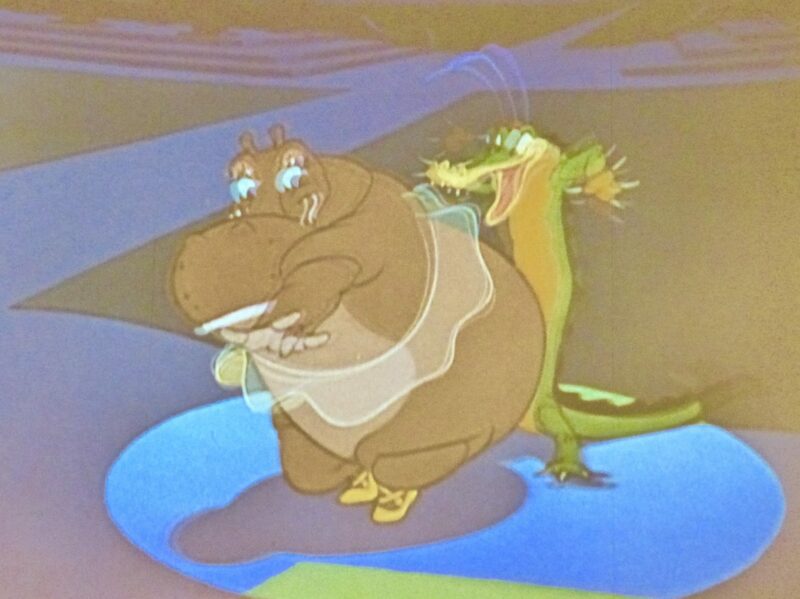 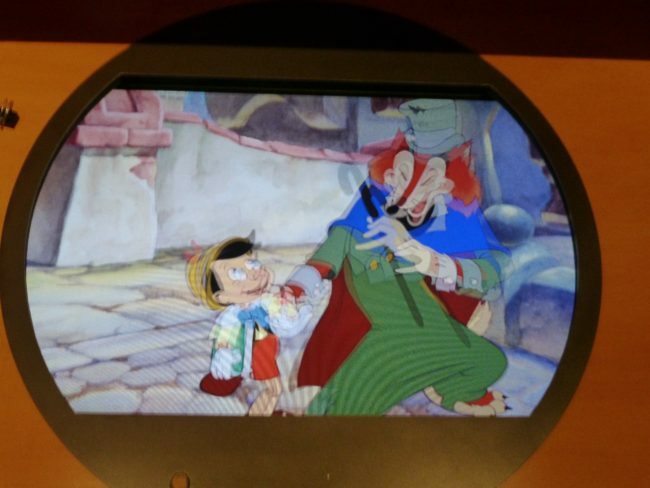 High tech was next on the agenda with a room showcasing many of Disney’s movies and cartoons. 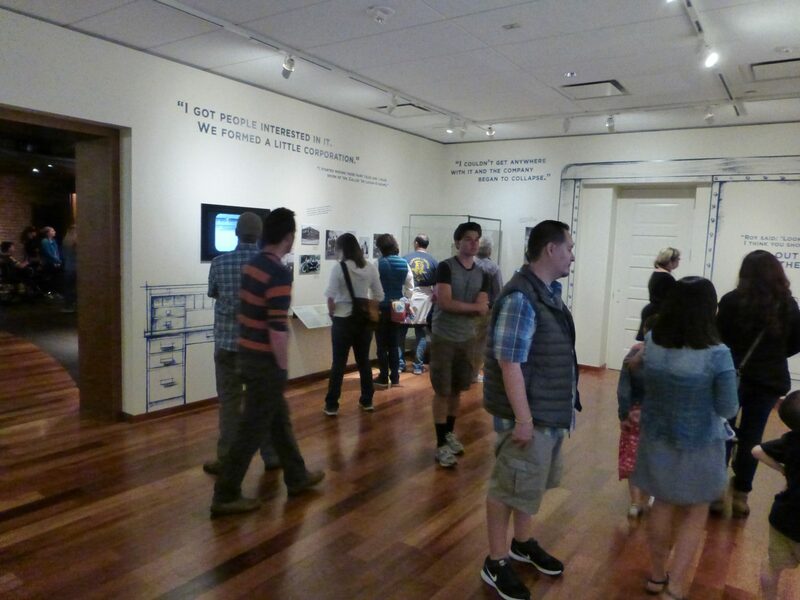 A lot of thought went into the design and flow of this museum. We were nearing the end, but as we walked toward the next room we marveled at the great view of the world’s most famous bridge on a gloriously sunny day. 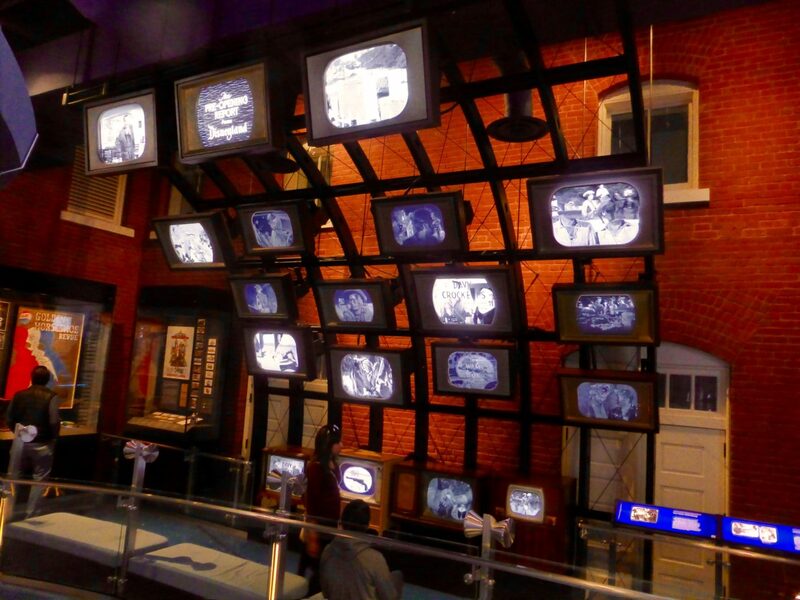 …we entered the late 1940s and 1950s area. 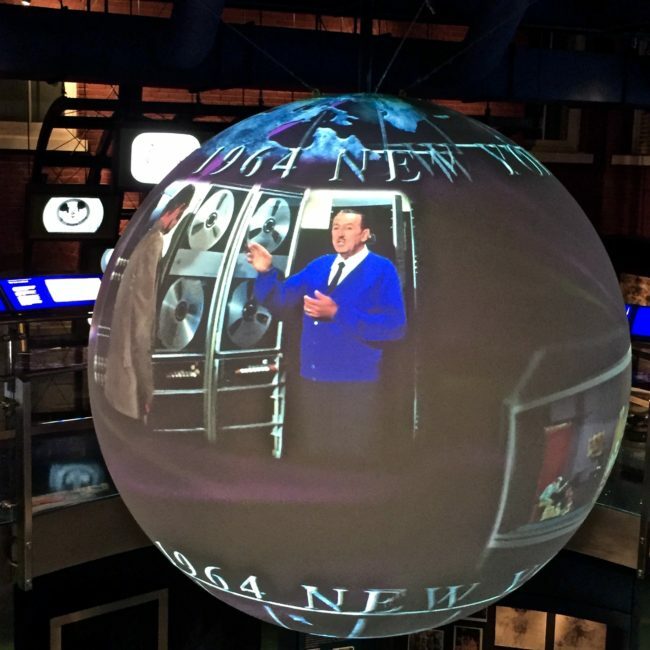 Jiminy Cricket, this was a very cool room, including the giant ball hovering overhead with photos of Disney and many of his visions projected inside the ball. 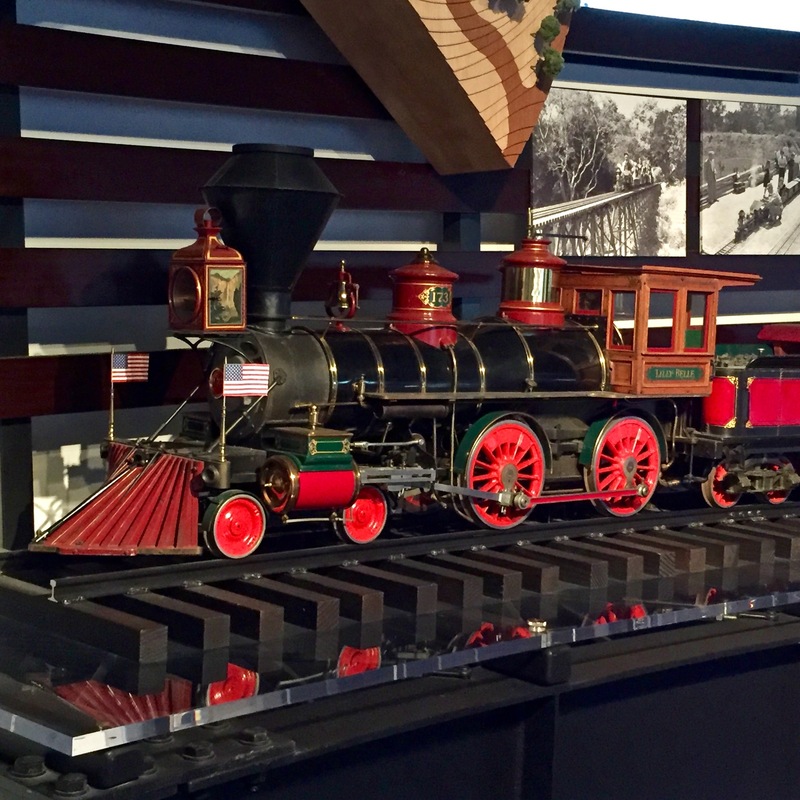 When he was quite stressed in the late 1940s, Disney visited the Chicago Railroad Fair, which reignited his love affair of trains (like this one on display,,,his beloved Lilly Belle locomotive). 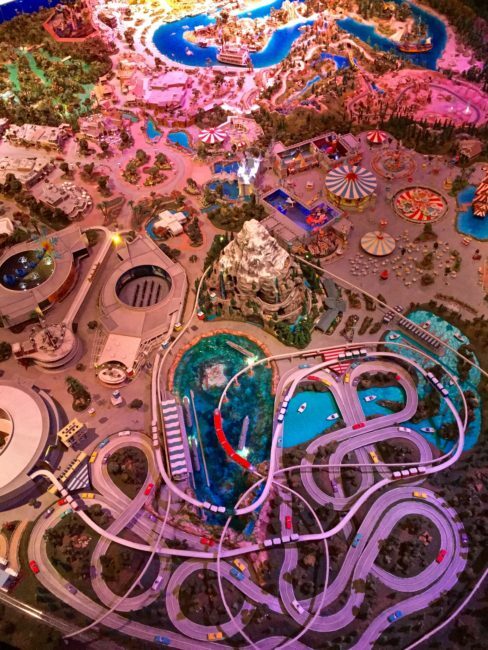 Descending a ramp, there were signs on the wall depicting a place I had visited dozens of times as a kid…Disneyland. 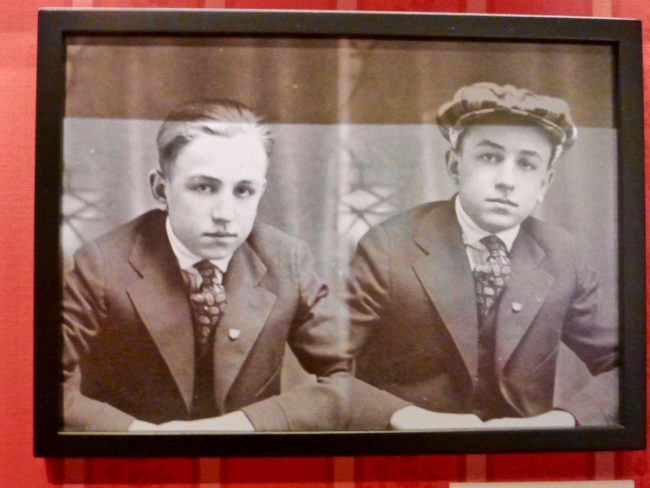 In those days, my dad could actually take my friends and me to the park without having to dip into his retirement fund. …and the original model (designed by Walt) of the Fairyland Castle. 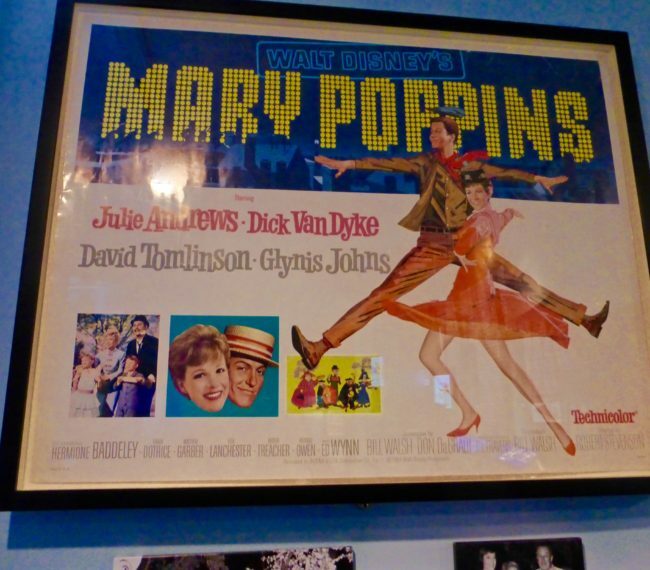 …and then posters of films beloved by millions. 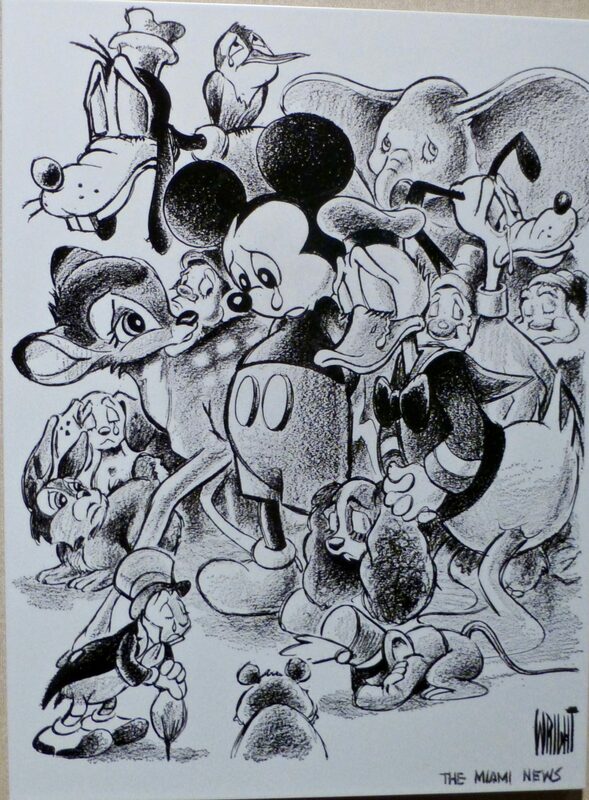 The final part of our journey was also the final part of Walt Disney’s life. 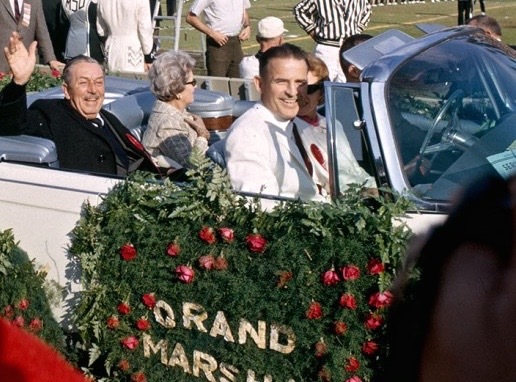 In 1965, he was the Grand Marshal of the Rose Parade in Pasadena, CA (photo below from internet). 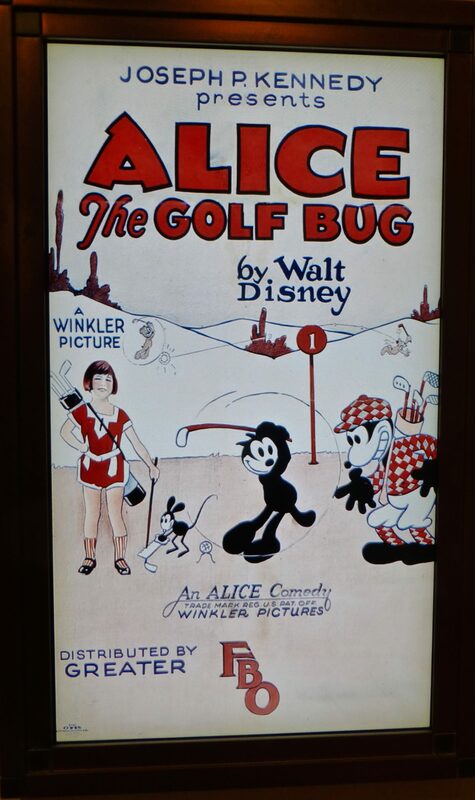 During the next couple of years, Disney worked on a number of movie projects (Jungle Book and Happiest Millionaire), and was also in the midst of a project at Mineral King ski resort, which eventually was turned down. On November 30, 1966, he complained of not feeling well and checked into St. Joseph’s Hospital in Burbank. A little more than two weeks later, Disney died of complications of lung cancer. 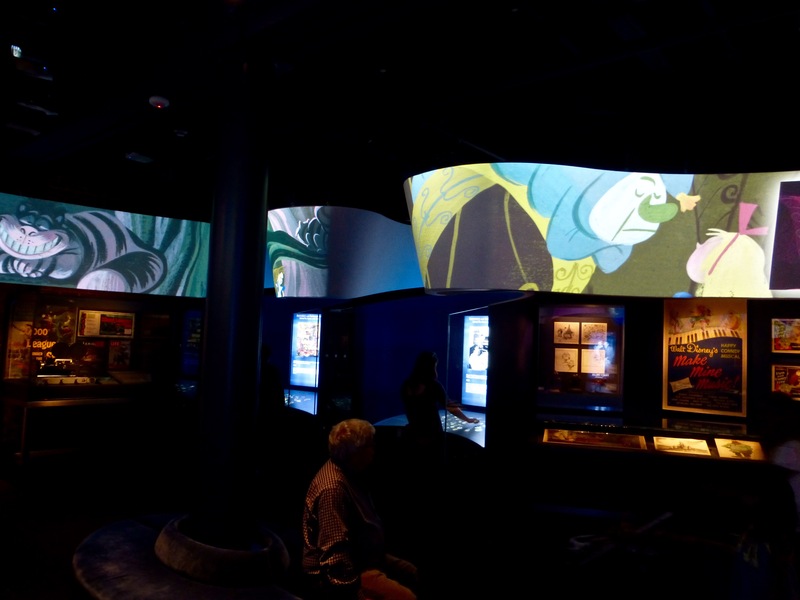 The final room at the museum displayed dozens of cartoons and magazine covers from around the world depicting many of his characters in mourning. 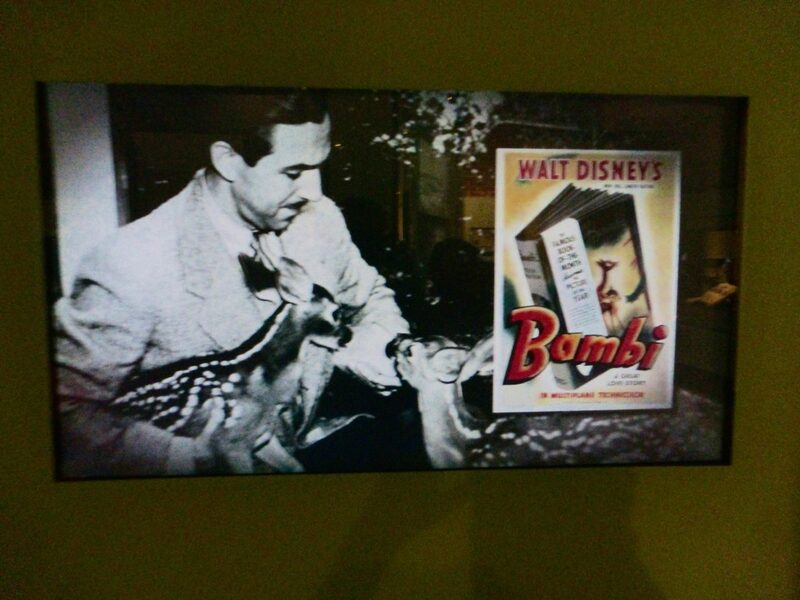 That was the end of of our visit, too. 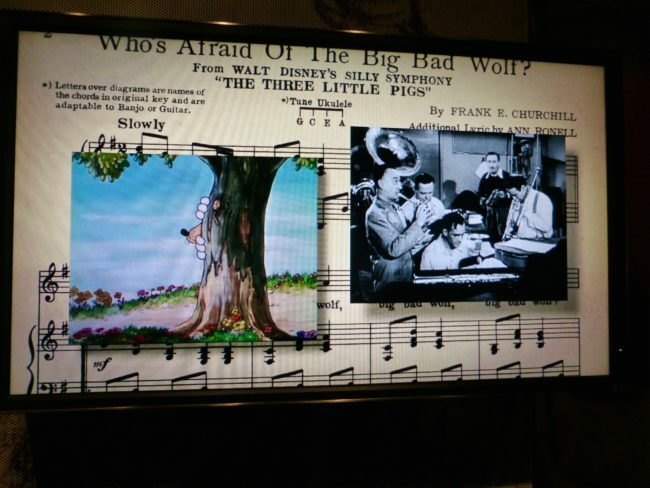 There’s no doubt that Disney has his detractors…he played tough with the Unions and testified about supposed Communists in Hollywood…those issues are touched upon at the museum, too. However, there is also no doubt that Walt Disney was one of the greatest creative geniuses of any generation. 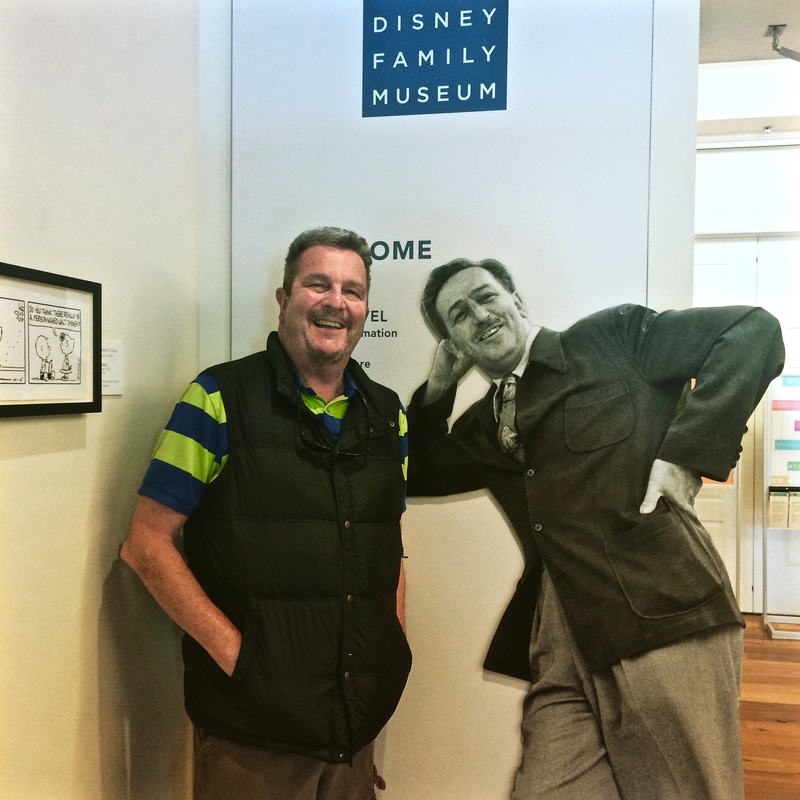 As you would expect from anything with the name “Disney” attached to it, The Walt Disney Family Museum has been put together perfectly and is quite an intriguing and enlightening place to spend a couple of hours examining the life and accomplishments of this fascinating man. 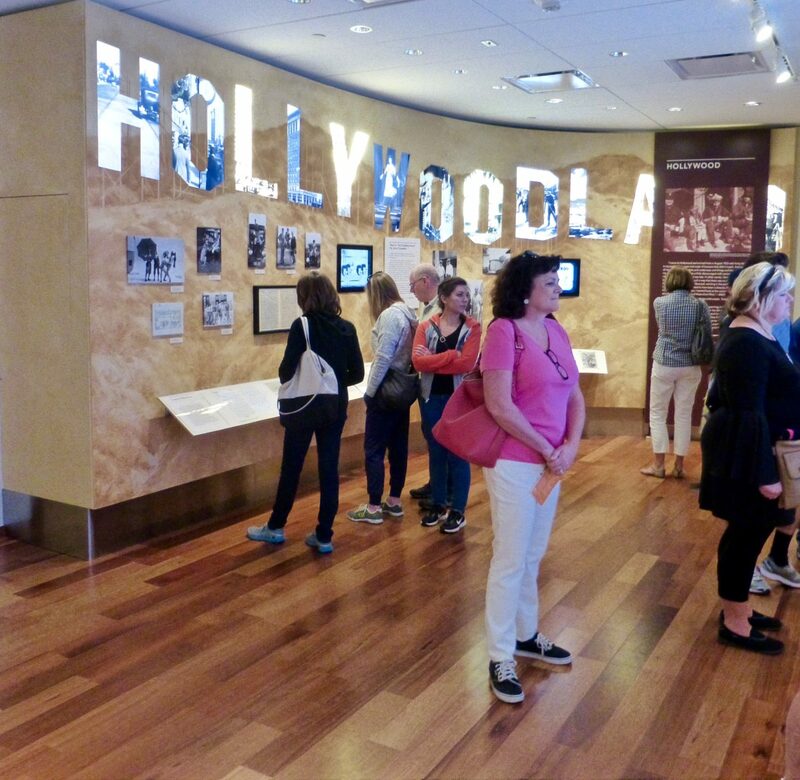 Hours: Wednesday – Monday 10 a.m. – 6 p.m.